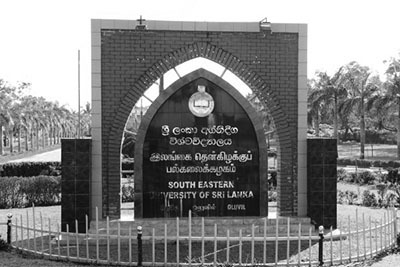 An energetic young team of the Engineering Faculty of South Eastern University of Sri Lanka has successfully invented an "Electrically motorized movable lifting ladder" utilizing heavy aluminum, steel scraps and local resources found in the University premises. 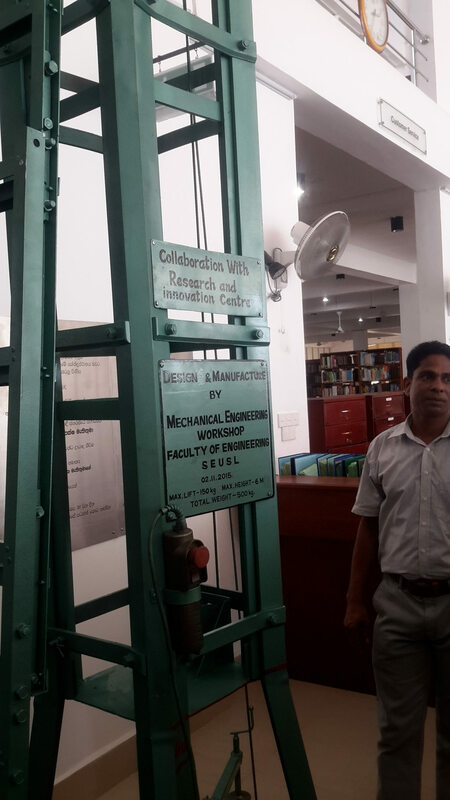 The Workshop Engineer MSA Sabry and his team V. Narendran, AM Mohamed Niyas, ACM Irshad and YGTLT Karunarathna under the guidance of Head of the Department of Mechanical Engineering of the Faculty Engineering Eng. A.M.Muzathik engaged in this venture during their duty hours sans routinely works. The ladder which is 18' height weighs 500 kg consisting of safety belt and four wheels fitted for the users to move it wherever one wants. 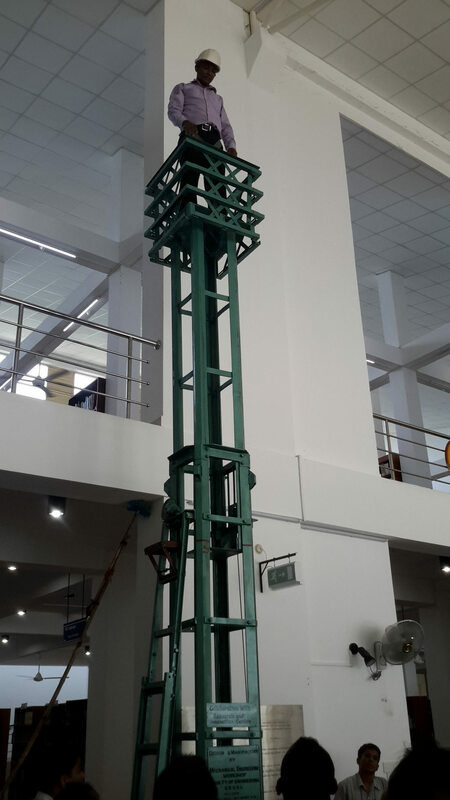 This ladder can be used for cleaning works in high raised buildings like Library roof wall and truss which are difficult to do so under normal circumstances owing to their heightens. 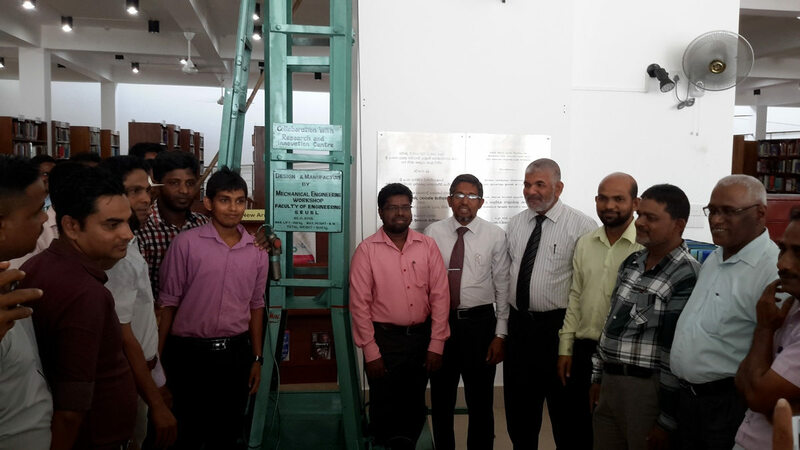 A simple ceremony to hand over the "Electrical Ladder" to the Librarian MM Rifaudeen of Ashraff Memorial Library" of the University was held at the Library Entrance where Vice Chancellor Prof. MMM Najim, Registrar H.Abdul Saththar, Dean of the Faculty of Engineering Dr. SM Junaideen, Head of the Department of Mechanical Engineering Eng. 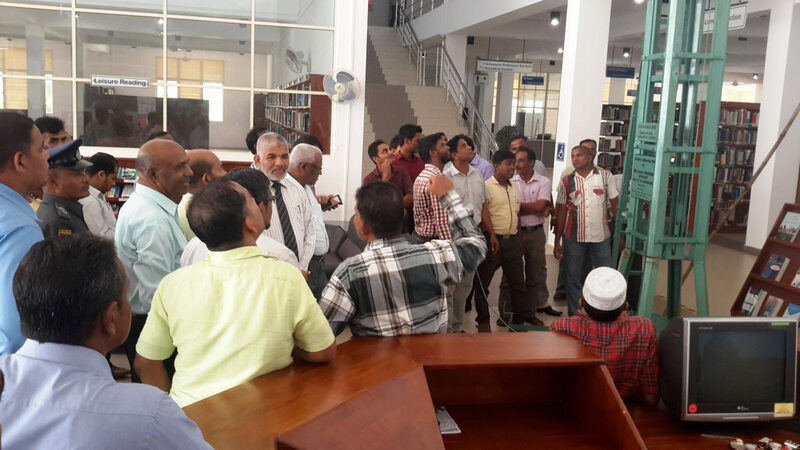 AM Muzathik and Staff of the Engineering Faculty and Library were present. Certificates of appreciation signed by the Vice Chancellor Prof. MMM.Najim and Registrar H. Abdul Saththar in recognition of their creative work in manufacturing the "Electrical Ladder" using the resources in house for the Library were handed over to the Team led by Eng.MSA Sabry. Commenting on the high works of the Engineering Faculty, Vice Chancellor Prof. Najim congratulated the team for the excellent work and eagerness shown in this venture. Their innovation and motivation should be encouraged. He also assured that he would extend his fullest support to those who engage in this venture.